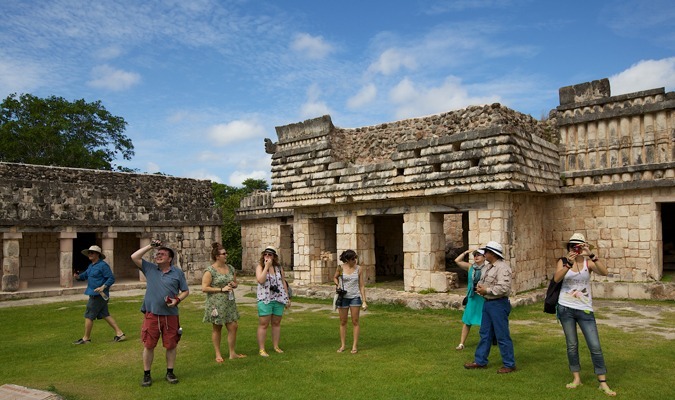 The Yucatan Family Adventure is designed for families who wish to cover all of the highlights of the Yucatan Peninsula in a hands-on and interactive way that will be captivating for all ages. 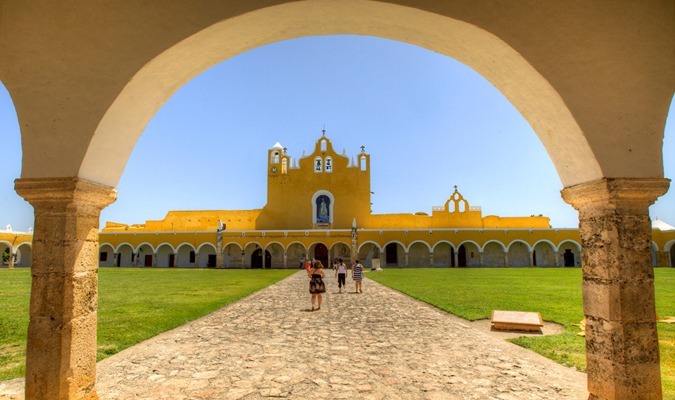 The Yucatan Family Adventure is a customizable itinerary that mixes the history, adventure, culture, luxury, and nature of the Yucatan Peninsula. 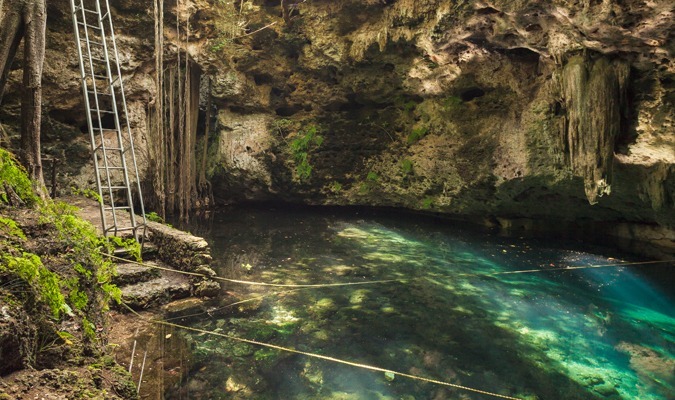 Discover ancient archaeological sites nestled among lush jungles, learn about family traditions in this region, and appreciate the gifts of Mother Nature while exploring Mexico’s most impressive biosphere reserves. 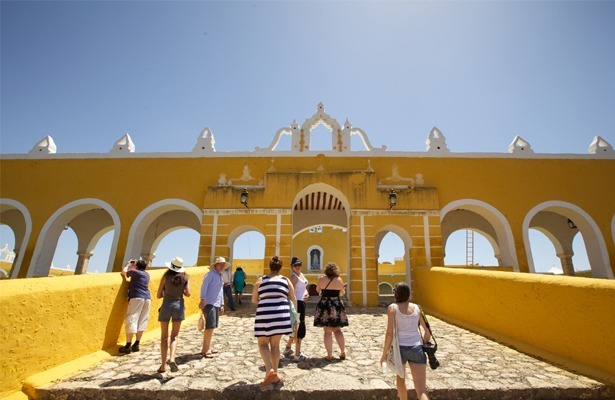 Designed with families in mind, this itinerary can also be adapted for other travelers. 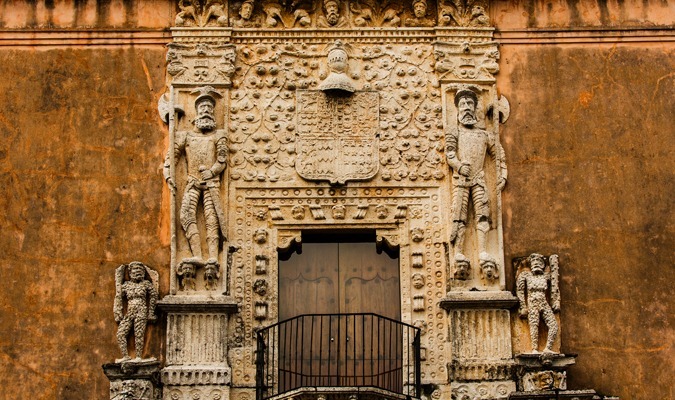 Your family will be greeted at the airport and privately transferred to your hotel, a lovely and historic hacienda where you can relax and enjoy dinner. 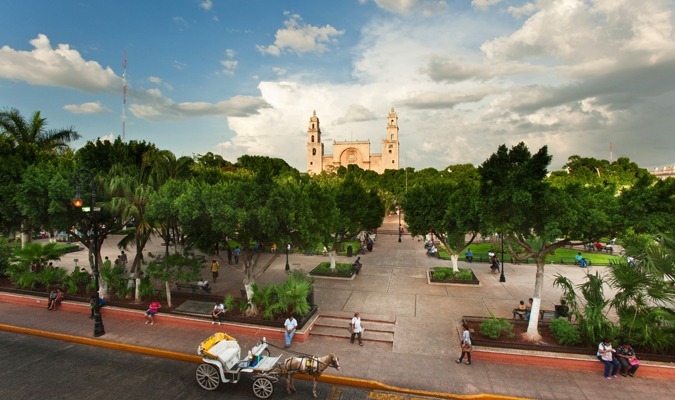 After completing the hunt and finding the prize, your guide will drive you to a local restaurant for lunch to enjoy a traditional Yucatecan meal. 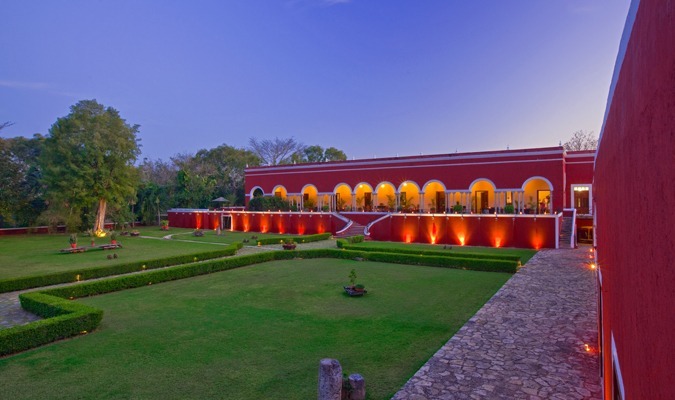 Ending the day back at the hacienda, the rest of the time is yours to enjoy at leisure. 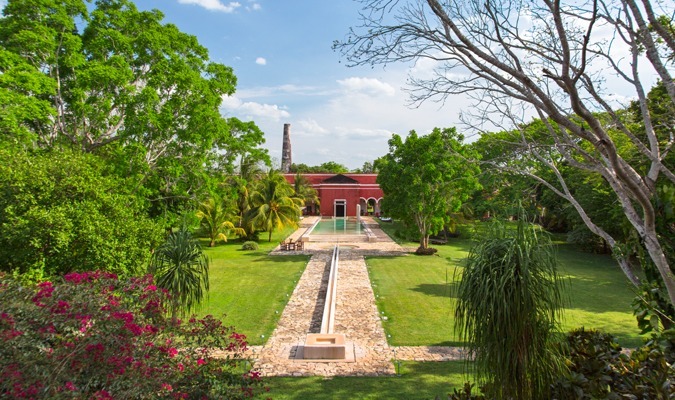 At this sprawling hacienda, there is something for everyone; Hacienda Temozon has a spa, swimming pool, private cenote, tennis courts, games such as chess and back gammon, and you can even ask for a tour of the hacienda plant and machinery. 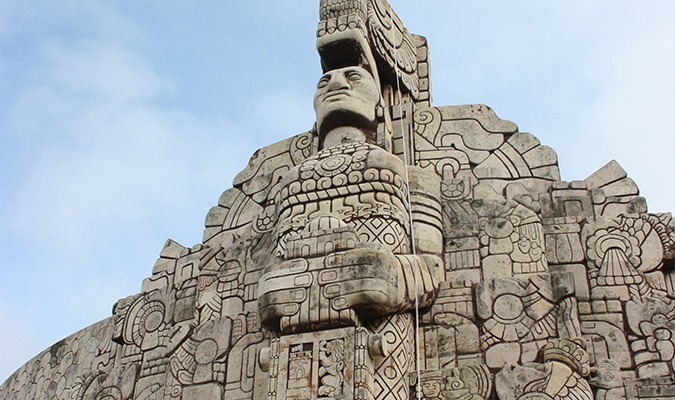 Today the family will embark on a journey towards Chichen Izta. 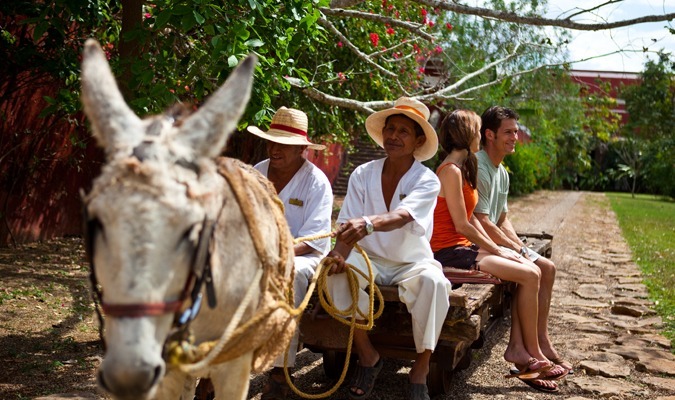 En route, stop at Tixkokob, a rural community located 30 minutes east of Merida famous for its high quality hammocks. Here the family with meet a local artisan at their family’s workshop to learn and observe the techniques of hammock weaving. Someone can even volunteer to participate in the demonstration! One of the most valued handcrafts made by the indigenous communities in the Yucatan Peninsula, the hammock weavers represent more than 700 families in the area. 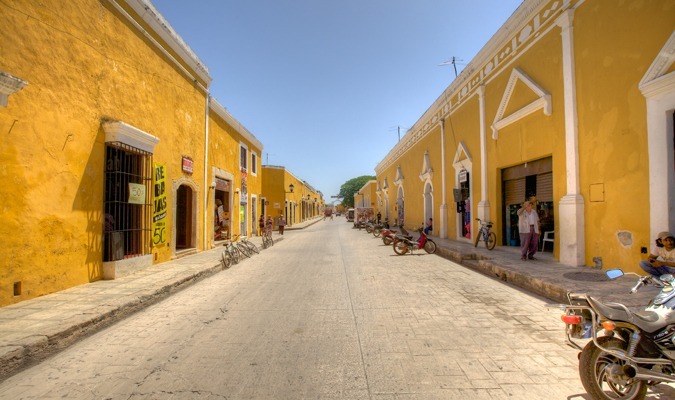 Afterward, continue on to the Magic Town of Izamal, where every building is painted yellow and white. 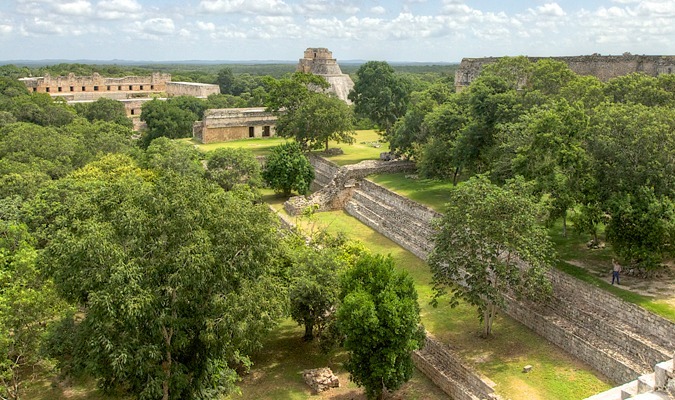 Once a Maya settlement, it is now known for the 16th century Franciscan monastery that sits atop of the old pyramid base. 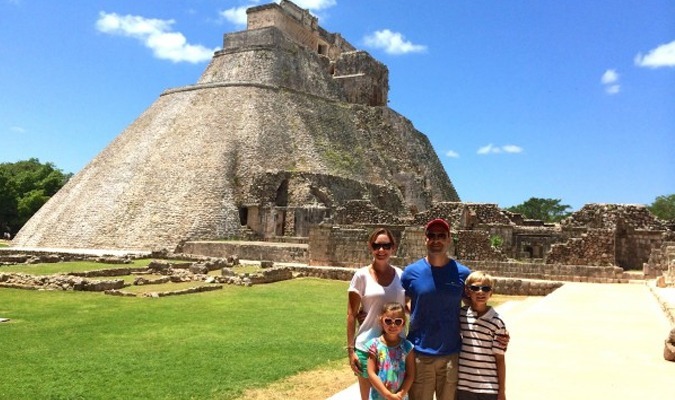 The day ends as your family arrives to their hotel for the night, right next to Chichen Itza. 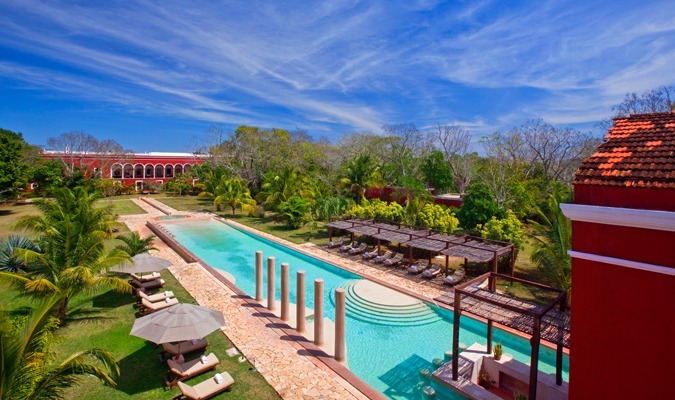 The day ends as your family is dropped of at a stunning luxury hotel located on the idyllic Mexican Caribbean coast. This hotel is family-friendly and stands out for its Rosebud Kid’s Club, offering a special program to entertain children featuring a wide-range of activities for kids. Arriving back on dry land the family will then be driven to Tulum archaeological site. The only Maya city located right by the Caribbean Sea, Tulum was a Maya fortress city that peaked between the 13th and 15th centuries. 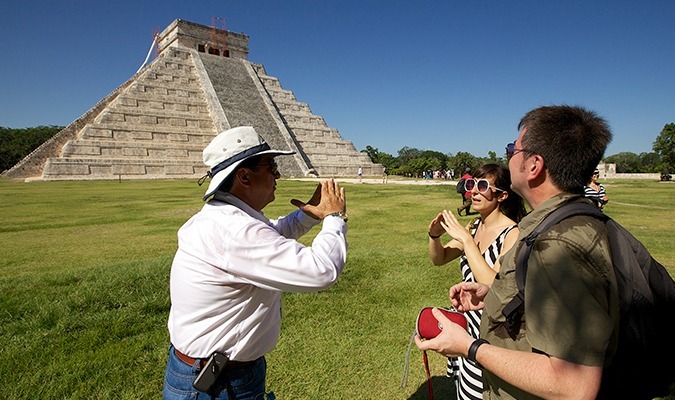 Your expert guide will lead in exploring this small site, that was an important place of trade in jade and turquoise, and despite its size, displays many styles of Maya architecture. There may also be time for you to take a swim and look up at Tulum’s iconic structure from below. Explore the open sea in this half-day, private sailing trip that will take you around the bay of Cancun and Isla Mujeres on a 34-foot catamaran. The family can can swim or snorkel around the second largest coral reef in the world while the adults simply enjoy the ride with a cold drink in hand.